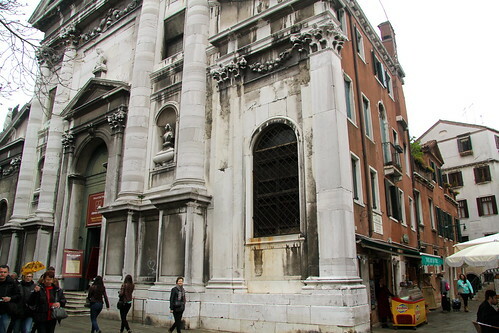 The architect who designed this church in Venice (Chiesa di San Vidal) tried to hide the building behind it, but ordinary life goes on behind the façade. There’s an ice cream shop doing brisk business, and the apartments above the shop seem to have no relation to the huge church window on the façade. So it is everywhere. Religious or secular, business or personal, male or female, gay or straight. No matter how impressive the façade, real life goes on behind it if you look. It has to.